Site of Applied Mathematics Department of the National Technical University "Kharkiv Polytechnic Institute"
V.V. 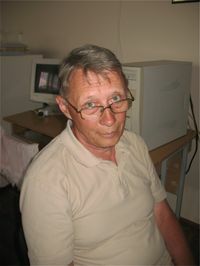 Veretelnik has been working at the Department of Applied Mathematics of National Technical University «KhPI» since 1997. He has got a master’s degree in Radio Physics and Electronics. In 1992 V.V. Veretelnik received the PhD degree in Mathematics and he got a senior fellow position. He is a specialist in the field of R-functions and software developer for initial boundary value problems in Applied Mathematics. More PhD’s at our Department! 21 Frunze st., Kharkiv, 61002, Ukraine.